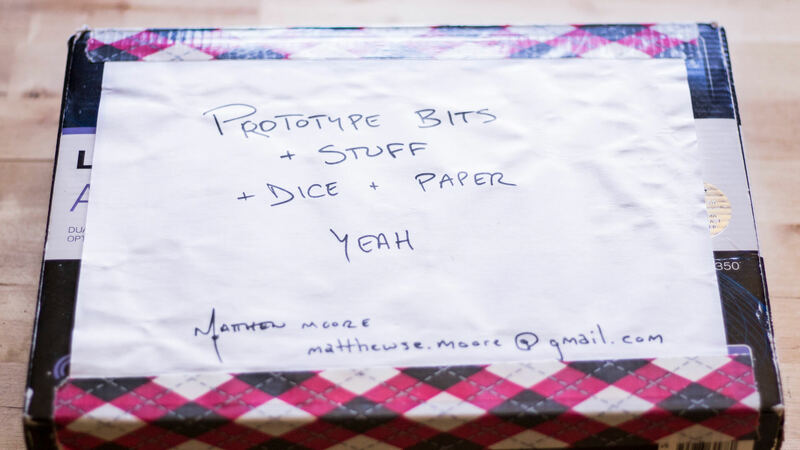 Matthew Moore, founder of Do Better Games, is a digital and board game designer and creator of the crowdfunded tabletop game Bring Your Own Book, where players search through books to borrow phrases. Matthew is currently a VR UX designer at Microsoft, and before that was a game designer at Disney Interactive and ArenaNet. Today, Matthew shared his experiences and philosophies on game design, including one of the first mistakes he made as a designer. 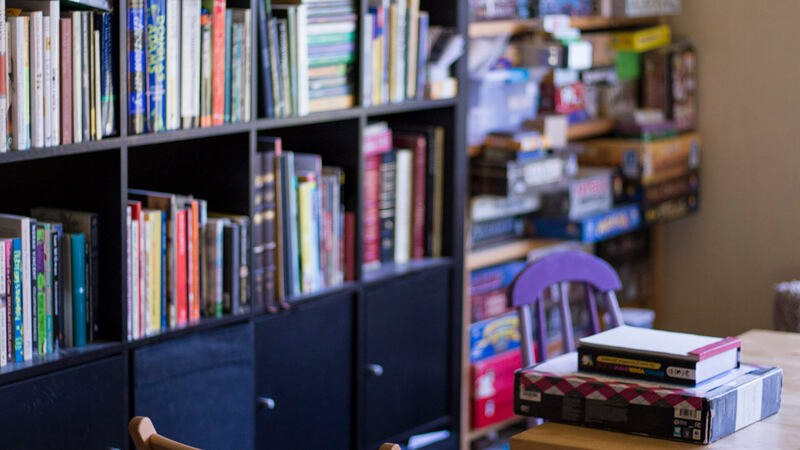 I’m a digital and tabletop game designer, but that’s a very recent phase in my life. I started in the games industry about ten years ago, after doing a series of odd jobs and finding my path. For a while I was a summer camp director intern in California, a computer repair technician for Gateway Computers, radio DJ at KSER up in Everett. One of the weirdest things I ever did was working for a sheepskin company that sold sheepskin seat covers. What are you currently working on, and how’s progress on it going? I’m working on a couple of things, the biggest currently is a digital conversion of Bring Your Own Book. 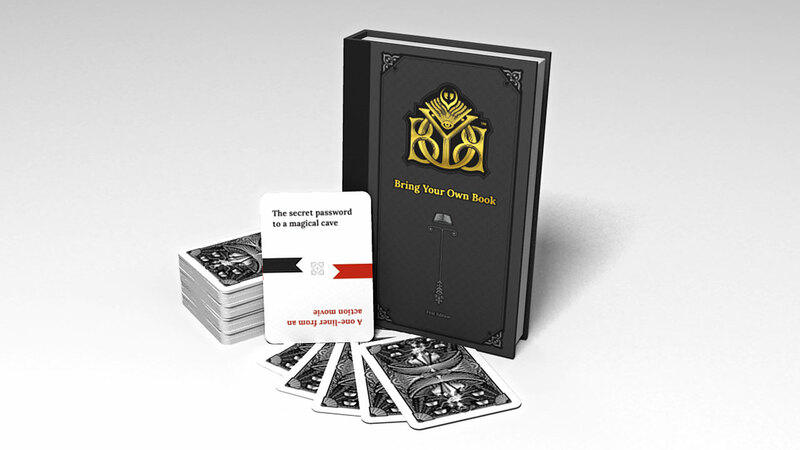 We licensed the the tabletop version of Bring Your Own Book to Gamewright, that’s now available country-wide. 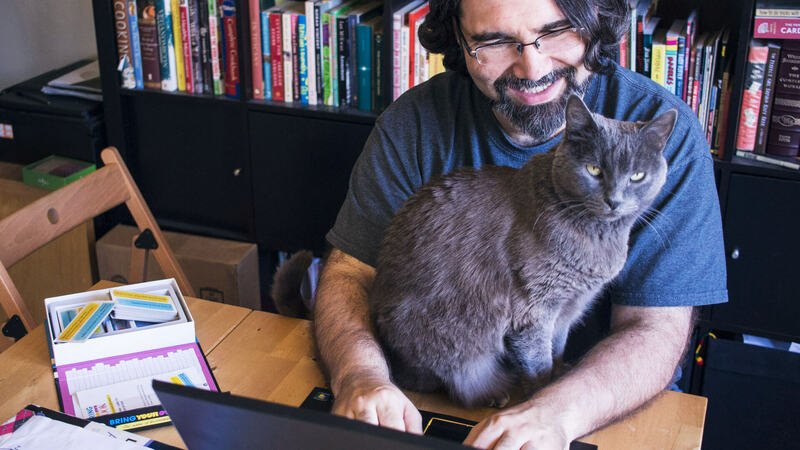 Their ability to do that was far beyond what we were able to do with crowdfunding — it’s in Barnes & Nobles and Powell’s Books — but they didn’t have any interest in doing a digital version. We did, however, so my artist Luke Nalker and I have been working on that, some days more diligently than others (laughs). We’ve been working with Nico Prins, friend of the Seattle Indies community, (who recently released his own game, Topsoil), and we’re getting close. We’ve got most of the animations in, and just got the last of the sounds in from sound designer Elise Kates, another Seattle indie local. We’re beta testing right now, and fixing up those last little bits we need to do before launch. When are you expecting to launch? We’ve had so many expected launch dates, how can you pick just one? (laughs) We’re pretty solid on it coming out this summer. It’s going to be great, there’s an aspect of it that I don’t think is as possible with the tabletop version, which is immediate sharing of the text that you find with a photograph and capturing favorite moments. How was your experience with Kickstarting Bring Your Own Book? What advice can you give to people thinking about their own Kickstarter? I’m really proud of the work that we did on the Kickstarter and its output, and incredibly thankful to all the fans. But it was a lot of work — so much to the point that I joke to my friends who run Kickstarters, “Congratulations on your new job.” But it’s honestly not a joke — I ended up having to do a lot of things like business management, working with the manufacturers, coordinating people’s time. I’m really happy that we did it, but it was a lot of work and I definitely advise to think long and hard about that before taking it on. The reality is that the easier route is to talk to publishers — they’re so much better equipped to massage the game into a place where it can be profitable, find a market, and distribute it. Crowdfunding is not the only way to get something out there, and it’s also not necessarily the first option you should consider — it’s one of the toolkit of options. Crowdfunding is not the only way to get something out there, and it’s not necessarily the first option you should consider. You mentioned you’re working on a couple things – what else are you cooking up? I find weird stuff to make. I’m co-designing a game about novice wizards with a friend, Alex Jerabek. I’m working on a game that involves rolling a cat ball and getting little cubes to fall out of it. And I’m currently shopping a card game to tabletop publishers called Plot Knot, which is a light storytelling game based around mechanics from poker. That’s quite a lot! What’s your process for churning out ideas? (laughs) The ideas themselves are not hard to come up with. There’s not a day goes by that I don’t entertain some new idea. I think that the real process for people who are making games either for a living or as a hobby is deciding which things to pursue, and determining how they’re going to make that into a reality. For me, I’ll often describe game ideas to friends, and listen for “Ooh — I want to play that.” I want to try and find experiences where there’s something new and interesting about it that capture people’s imaginations, and then I want to spend time on that. I saw a great talk last year at Full Indie up in Vancouver by Ryan Clark, who made Crypt of the Necrodancer. He passes all of his game ideas — of which he has many — through a Venn diagram funnel: it’s a game I’m interested in making, it’s a game I’m capable of making, and it’s a game I know has a market. For him as a professional, supporting his own living, it has to fulfill all three of those. Since I do tabletop games independently and I don’t depend on them for my financial freedom, I can kind of carve off that third requirement. Maybe Plot Knot doesn’t have a market. Bring Your Own Book did, and that’s probably why I focused on it more than the other projects that I was working on at the time. If I had to, I would focus more on financial viability, but I think my third component is usually, “Do I know people who would have a good time?” and that makes it worthwhile to me. 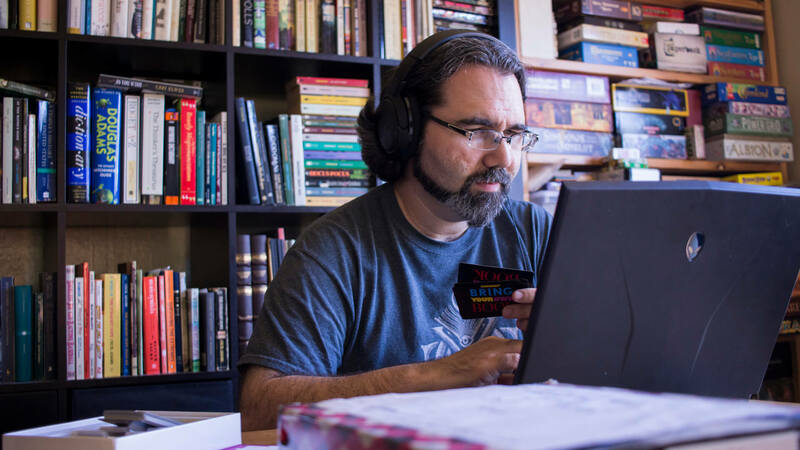 How do you balance being a digital game designer by day and a tabletop designer by night? Does it ever get too much? It sometimes does get too be a bit much. There are days when I come home and I’m like, “I do not want to see a game at all. I would instead like to have some ice cream and watch a movie and just not even think about that.” And then I’ll get a game design idea before I go to bed and write it down in the notebook I keep by the side, start up the Google Doc, and here we go (laughs). But I think I’m able to do it because the purposes are different. Sort of like if you were a skilled painter and by day you painted houses or murals, and then at night you painted miniatures for your Warhammer game. They tap into the same skill, but your reason for doing them is different. Who’s your biggest hero in the game design world, and what games have inspired you the most? In the tabletop area, Vlaada Chvátil — the guy who made Galaxy Trucker — I particularly like the way that Vlaada makes games that have several deep systems that then smash together in this beautiful whole. Similarly, Matt Leacock — I’m a fan of Pandemic and Roll Through the Ages, and I really like the way that Matt really focuses on accessibility. As far as as the digital space goes… Zach Gage, probably. Zach does that thing, like, “Here’s a weird idea that I would like to express. Here we go, bizarretown!” and I really like that it takes a standard idea and places it in a new context that otherwise gets missed by more traditional game design. I love River City Random, Hohokum, and I’m over fifteen thousand holes into Desert Golfing. But the game that’s really inspired me? Battlefield 1942. Battlefield 1942 was an eye-opener for me, and might have been partially responsible for me going into the games industry. 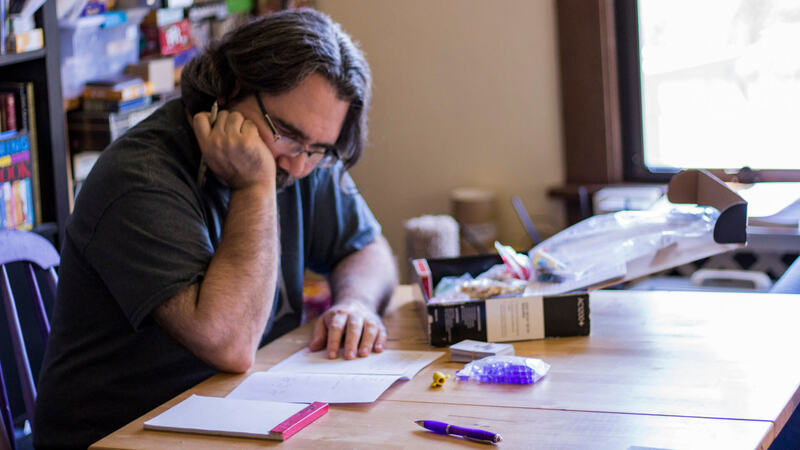 What mistakes did you make when you were just starting out that you’d advise aspiring tabletop game makers to avoid? 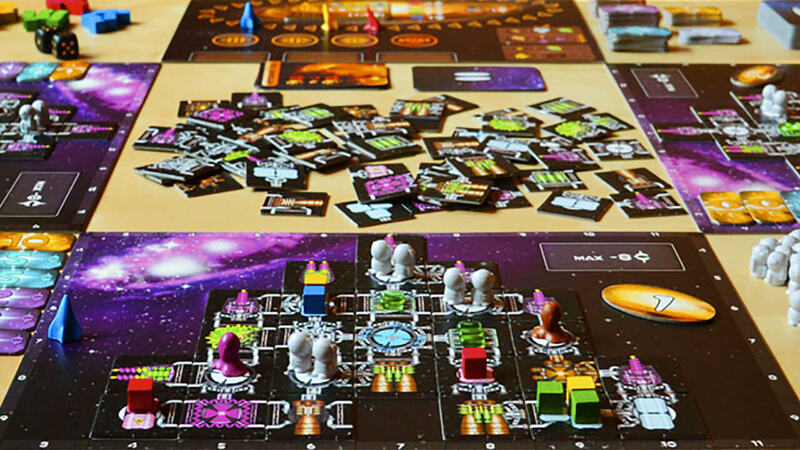 For early tabletop design and prototypes, don’t wait to get it perfect to get it played. 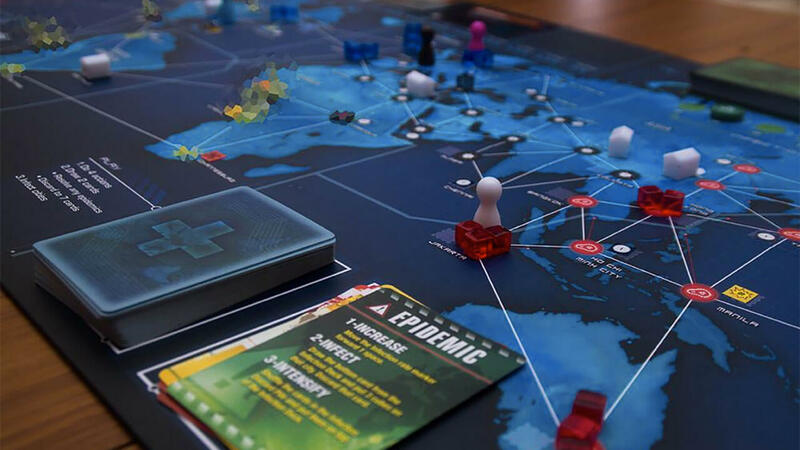 Beg, borrow, steal, and cannibalize pieces from other games — you can create something wholly new from all the pieces that you already have on your shelf. 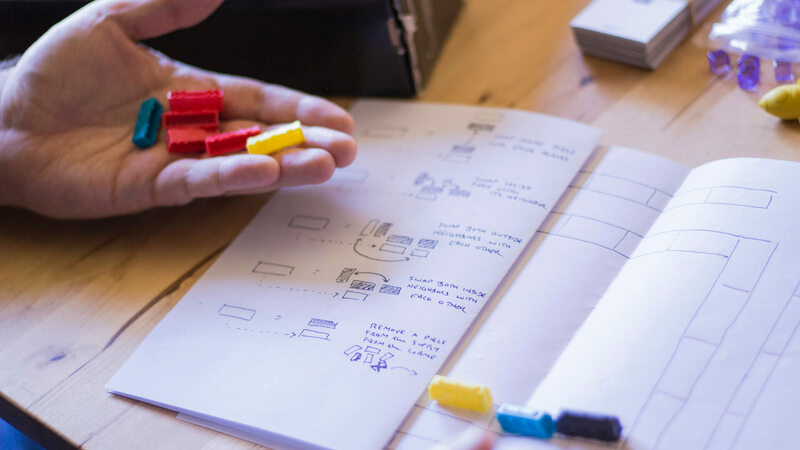 The real work of game design is execution and iteration — that’s where game design rubber meets the road. But so much more of it is about the work, and how do you winnow your ideas until they’re functional, and how do you work within the constraints of working with artists and engineers? I think that was an early mistake I made: putting too much value in my ideas and not enough value in my efforts to work with other people, to understand the process really well, and to execute. 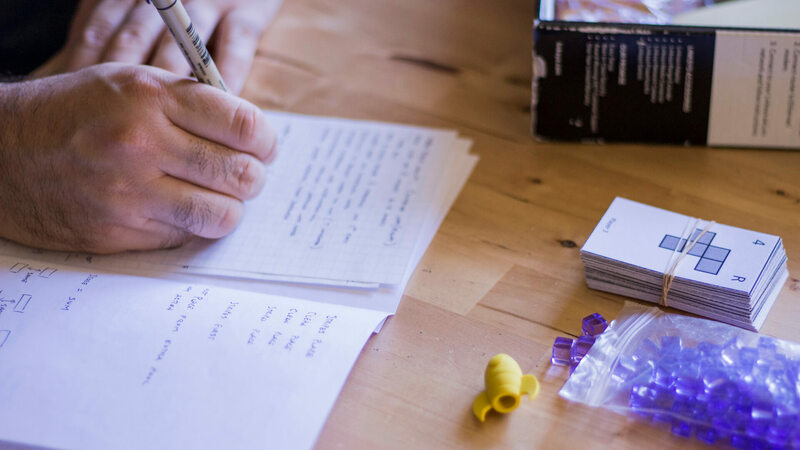 The real work of game design is putting stuff in and iterating on it — that’s where game design rubber meets the road. It’s not about creating the tabletop game, it’s about playtesting the tabletop game, and then making version 1.4. Matthew’s most valuable employee, Sir Ian Fleming (a.k.a. 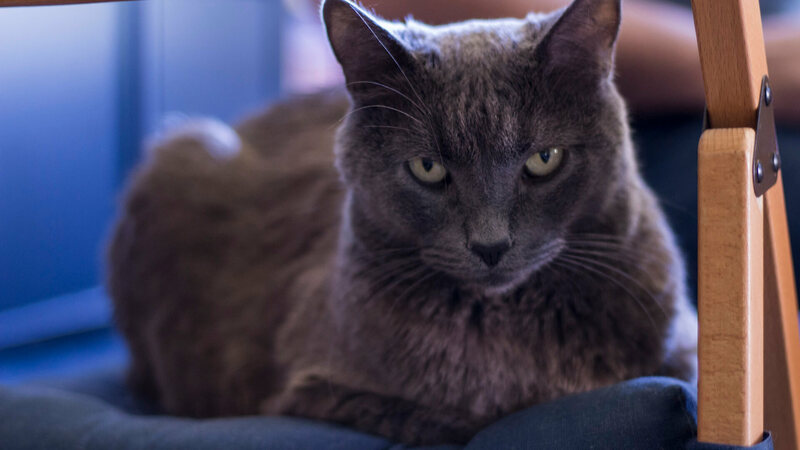 Sweet Boy) the Chartreux cat (7). 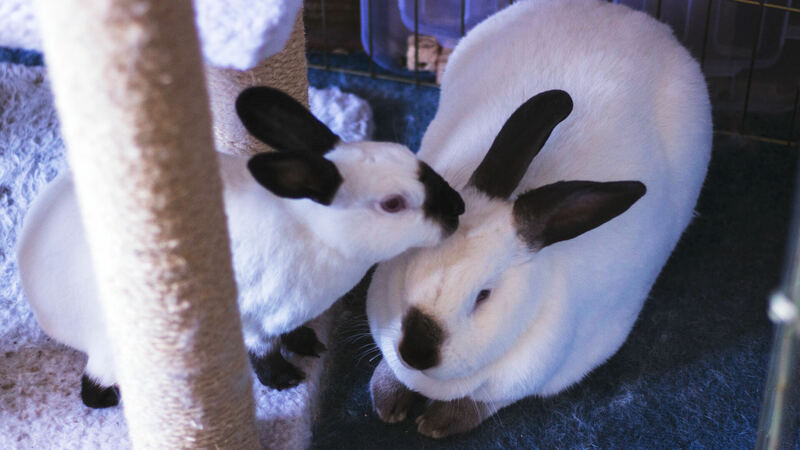 Kitty the Himalayan bunny (5), and Apollo the Californian bunny (8). You can follow their hijinks on Reporting Rabbit.